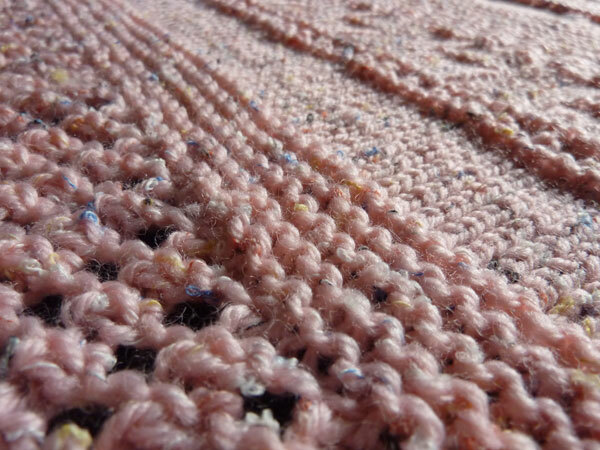 Here are some pics of the baby blanket I made for Viola ( who is now 10 months old!). 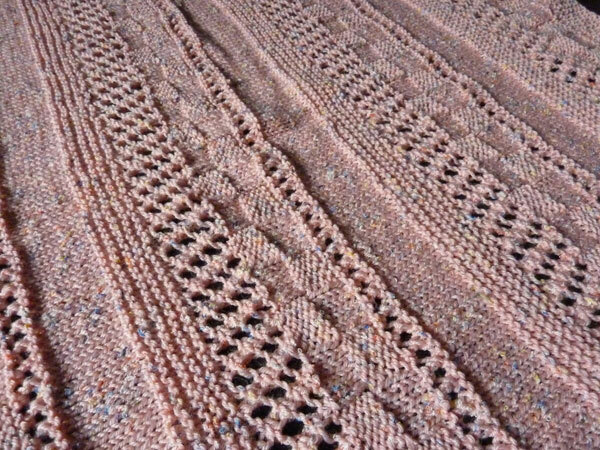 I think the blanket came out very nicely, it was a great project to try different stitches as I learn to knit and the yarn was really nice and soft (blend of acrylic and wool to make washing by machine a cinch!). 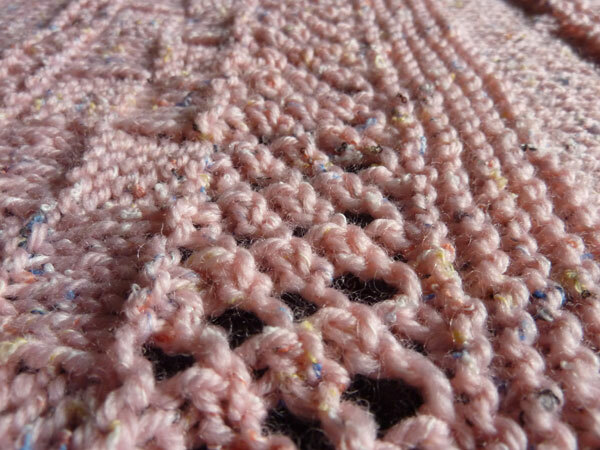 This entry was posted in knits. Bookmark the permalink. Very pretty color, great job! I love it! this was the yarn I bought in SLC, do you remember? we went to a hobby store pretty far from your house (not michael’s) at this new shopping area….